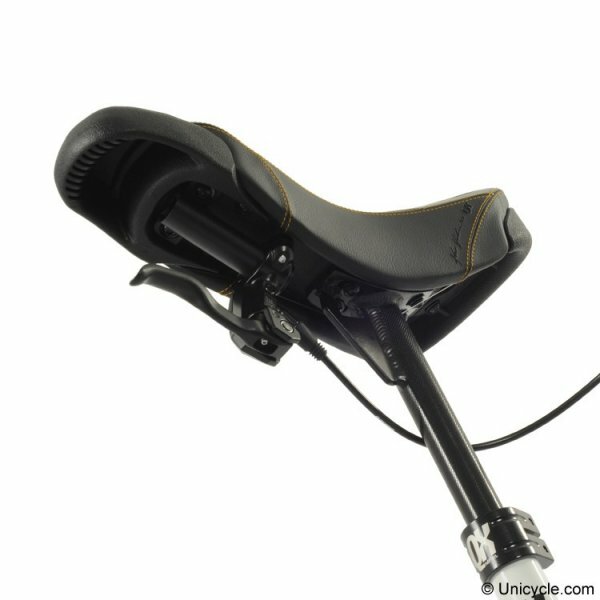 A solid and strong Muni with an aluminum frame and disc brake. 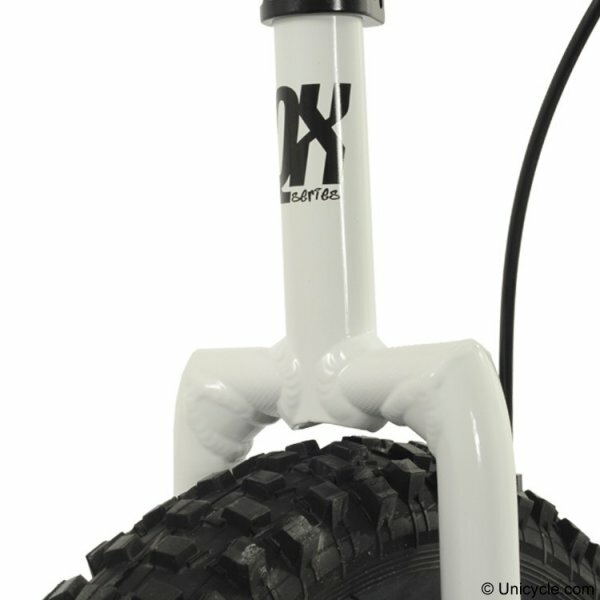 The 24 inch Muni QX Disc comes in package with a disc brake for a really good price! Disc brakes tend to perform equally well in all conditions including water, mud and snow and offers a better control. 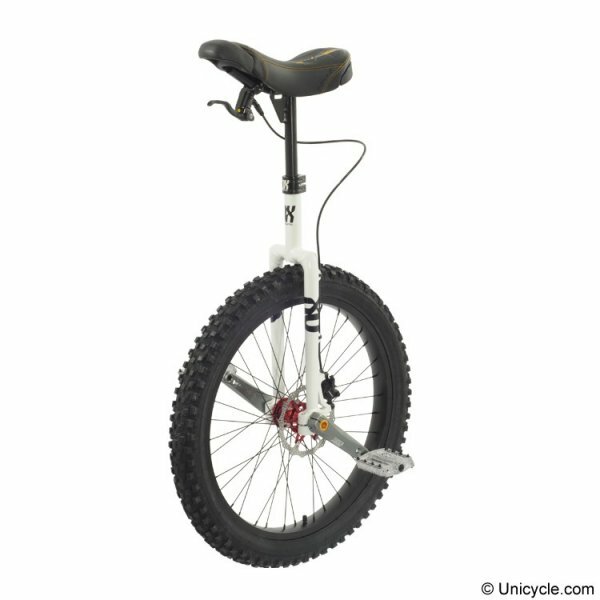 The Q-Axle disc-brake unicycles are the successor of the QX disc-braked unicylces. 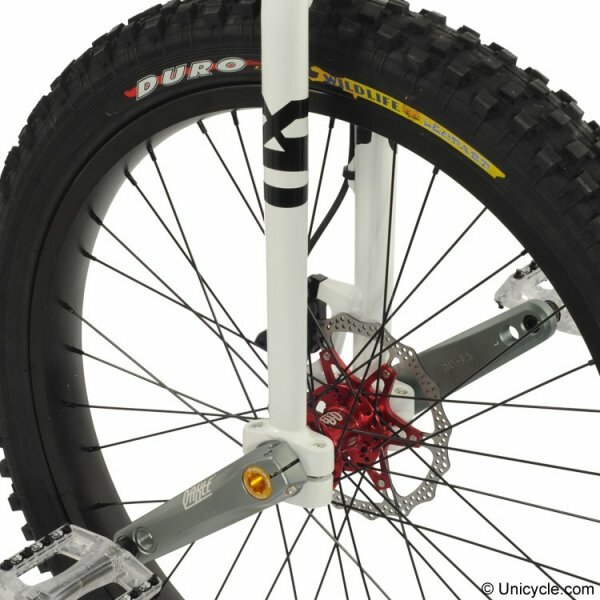 The ISIS axle has here been replaced by a technique that has been used in the cycle industry since 2002: The axle has a 24mm diameter instead of the ISIS-typical 22mm and is more hollow which makes it lighter (the bigger diameter allows a thinner wall). The cranks are no longer tightened as much on the axle as possible - but precisely positioned by an alloy cap and then fixed by tightening 2 allen-key-screws on the crank. The crank-connection has less wear and is more resistant to frequent assembly/dissassembly. Also, just like from tapersquare to ISIS, the connection-surface that transfers the pedaling-power is bigger. Thanks to the more hollow-drilled axle, already the hub is more than 130g lighter than its ISIS-predecessor. 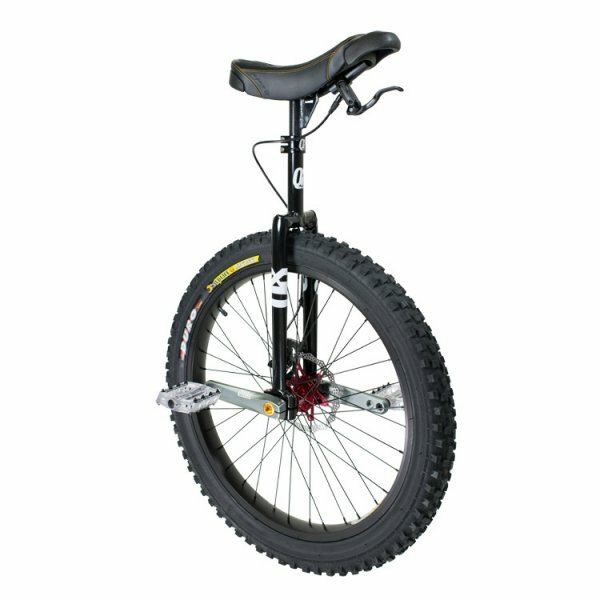 It also makes the axle stiffer. As the bearings still keep the same outer-diameter, the hubs are compatible with all ISIS-ready-frames. - Weight: 6,4 kg incl. 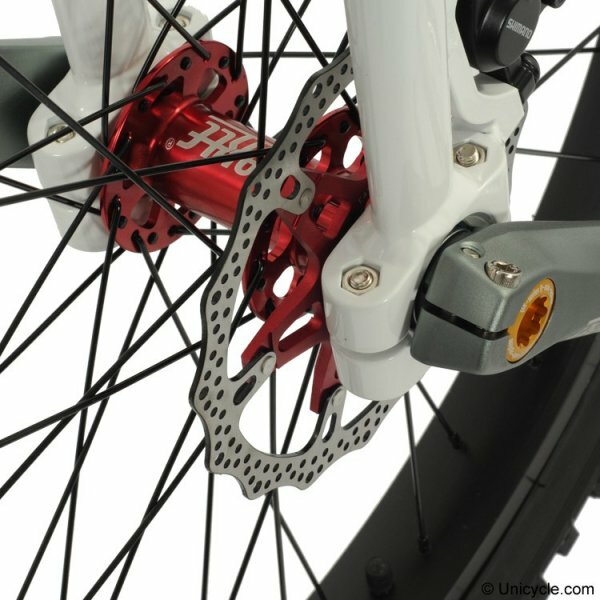 brake + rotor!